This Week In Doonesbury: GUILTY, GUILTY, GUILTY!!! On Sunday, Garry Trudeau published a strip that I’ve seen coming since Donald Trump won the election. But even though I knew this gag was on its way, actually seeing it in print cracked me up. First it’s a great joke. 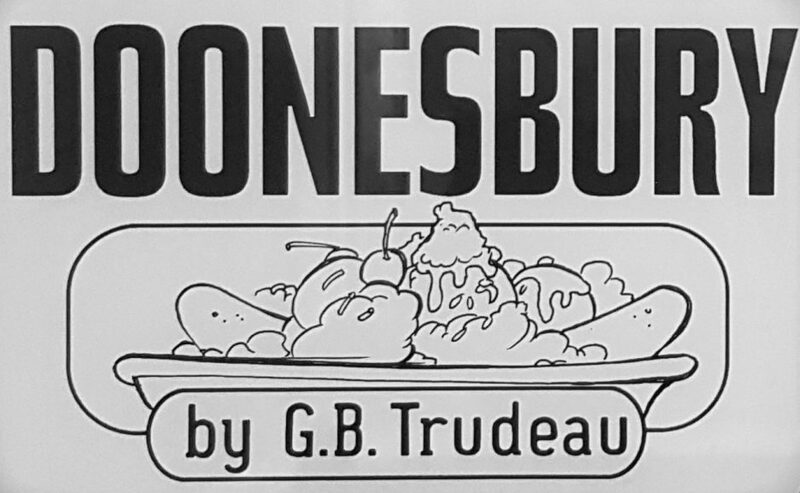 Second, because, by recycling a strip from 44 years ago, Trudeau demonstrated his ability to … Continue reading This Week In Doonesbury: GUILTY, GUILTY, GUILTY!!! This Week in Doonesbury: Mental Health, Health Care, Homelessness and Trump. (Note to readers: Hi Mom! … I intended to post at least once a week as a way to keep my writing chops up, but the past couple of weeks haven’t been great. I’ve been working on something about how GBT wrote about Vietnam during the first few years of Doonesbury, but it’s really not … Continue reading This Week in Doonesbury: Mental Health, Health Care, Homelessness and Trump.